Learn how to play piano easily at home at your own pace. The best-selling eMedia Piano and Keyboard Method features piano lessons for beginners from Irma Irene Justicia, M.A., who has taught at the renowned Juilliard School of Music. 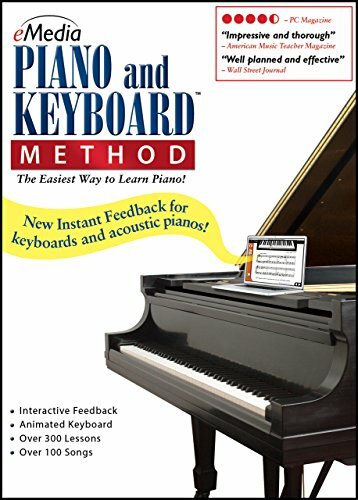 This course is complete piano instruction that runs on your Windows or Mac computer with interactive technologies to make understanding the lessons easier. 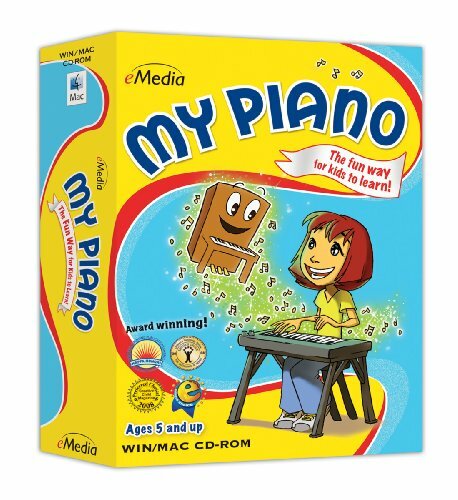 You can even get eMedia Instant Feedback and Performance Evaluation as you play your first, easy piano songs and exercises. 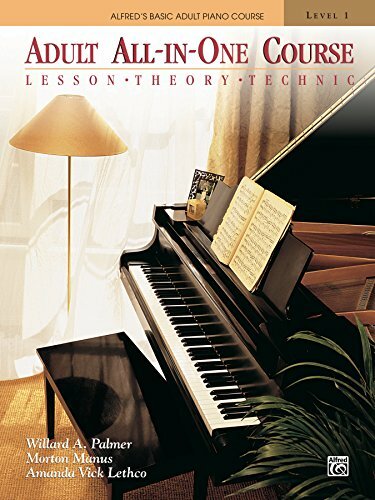 Learn how to play piano fast with easy-to-follow piano lessons that take you from basics such as proper hand position to playing in C position, playing piano scales, how to read standard music notation for piano, and much more. Learning piano is made fun with popular songs made famous by Billy Joel, Elton John, Scott Joplin, J.S. Bach, and others. This new version of media Piano and Keyboard Method offers everything you need to learn how to play! Piano instructor, Irma Irene Justitia, M.A., who has taught at the renowned Juilliard School of Music, guides you through over 300 step-by-step full-screen lessons. New Instant Feedback works with both electronic keyboards and acoustic pianos! It listens as you play melodies and shows whether you're playing correctly! 2 Volume Value Priced Set that includes eMedia Piano & Keyboard Method (v3) and eMedia Intermediate Piano & Keyboard Method (v2). 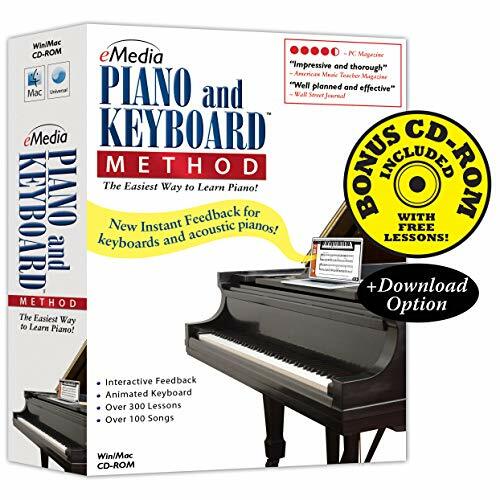 eMedia Piano & Keyboard Method Deluxe includes everything you need to learn to play with over 450 audio- and video-enhanced lessons and more than 150 songs in a variety of musical styles. You'll be playing in no time by following the animated keyboard as it displays correct fingerings as the music plays or for any note or chord you choose. 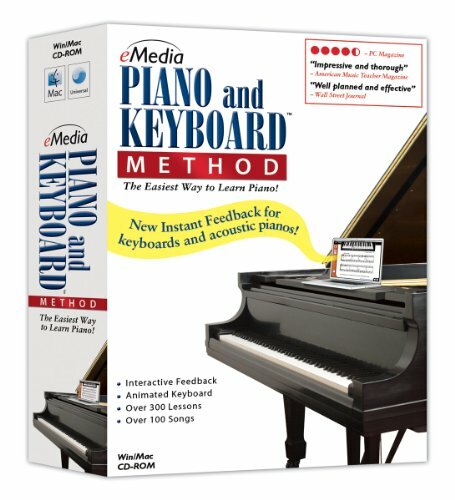 When used with a MIDI controller, eMedia Piano & Keyboard Method Deluxe provides specific feedback on playing mistakes, including wrong notes and rhythms. Other features include a metronome, recorder, variable-speed MIDI keyboard tracks, accompaniment tracks, and ear training exercises. 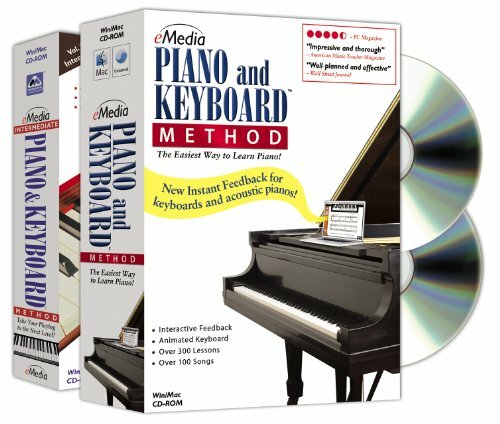 eMedia Piano & Keyboard Method, included in eMedia Piano & Keyboard Method Deluxe, has received top ratings and honors from PC Magazine (4.5 out of 5), Music News, MacHome (4 Apples), Clavier Magazine and American Music Teacher Magazine which called it "an impressive and thorough piano teaching program." eMedia Intermediate Piano & Keyboard Method continues your musical journey with a focus on improvisation. 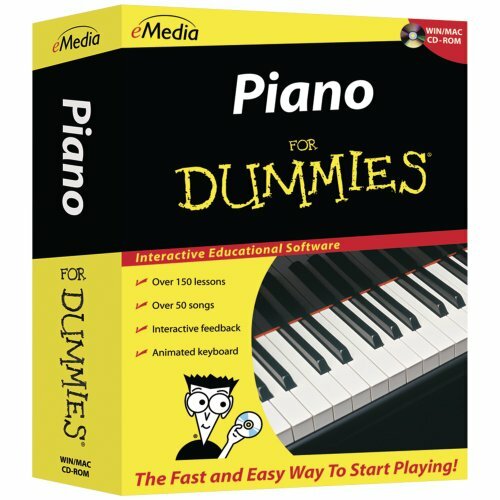 eMedia Piano For Dummies provides beginner piano lessons with a fun attitude and at a great price. Learn how to play piano at your own pace with techniques demonstrated using instructional videos and on screen notation with an animated keyboard. Have fun playing along with live-recorded songs or MIDI tracks that you can loop, slow down, or speed up. When using a MIDI keyboard, you can get specific feedback on note and rhythm mistakes. This course features over 150 piano lessons created by Irma Irene Justicia, M.A., who has taught at the renowned Juilliard School of Music. Popular songs include hits such as Billy Joel’s “Piano Man,” Bach’s "Minuet in G," and many more. 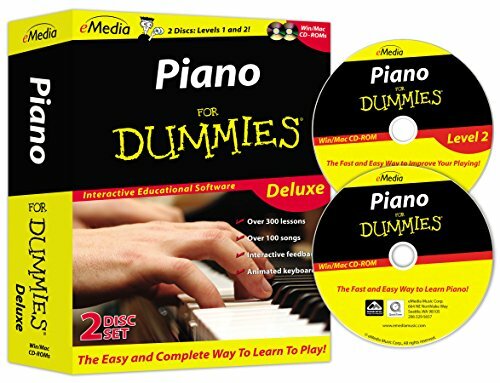 Piano for Dummies Deluxe 2-CD-ROM Set from media Music gives you everything you need to get started on piano or keyboard and more! This 2-disc set includes over 300 step-by-step lessons take you from basics to reading music notation, playing melodies, harmonies, scales and much more! Instant Feedback listens to your playing and highlights notes played correctly in melodies so you can learn faster. And you'll progress at your own pace as you receive instruction in full-motion videos! Have you ever wished you could play the piano, but didn't know where to start? 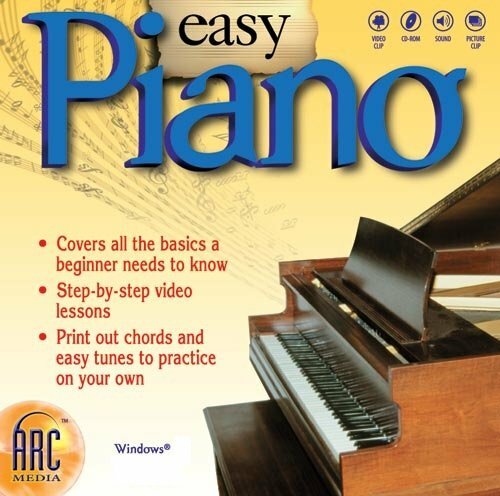 Easy Piano is the answer. Just follow along with the step-by-step video lessons, and you'll be playing tunes for your friends in no time. Simply Piano vs Yousician: Day 149 Learning Piano! 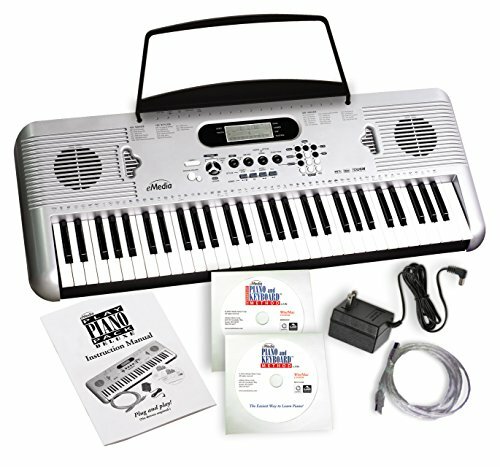 Compare prices on Piano Lesson Software at Elevelist.com – use promo codes and coupons for best offers and deals. We work hard to get you amazing deals and collect all avail hot offers online and represent it in one place for the customers. Now our visitors can leverage benefits of big brands and heavy discounts available for that day and for famous brands.